Views of Lower Granite Lake / Snake River. Fishing, hunting, snow, water sports, and bike trail. All a few minutes away. Car port with space for both or medium sized RV. Front deck with seating overlooking the river. Sun room with river view. A/C, Heating, washer and dryer available. NO cable, or satellite service available. An HDTV is available to stream Internet content. We are a family of fun-loving Puerto Ricans. Having grown up in a beautiful, tropical island, we need to be close to the water. Our house in Clarkston is our oasis from our very fulfilling and stressful jobs. It is our "little piece of heaven". Beautiful outdoor views. Hells Gate State Park view from the house. Nearby winter activities include cross country skiing and tubing at Field Springs. About a 30 minute drive. River access and a 20+ mile walk/bike path across the street from the house. Boat dock less than a mile away. On city outskirts and near many outdoor recreation activities. Boating, fishing, hunting, wildlife viewing, ORV, and many more. 35 miles to Pullman, WA home of Washington State University. A 45 minute drive. 6 miles from LCSC. Can fit two cars and a boat, RV, or trailer. Arrived late to the house and all the instructions were perfectly laid out for our late night arrival. Everything was as presented in the description and very clean. I wish my trip was in the summer so that I could have enjoyed the view of the river! We had a great time this property was amazing. The river view is absolutely beautiful. Wonderful place to stay! Clean and relaxing. Really enjoyed the deck watching the sunrise. Walk into a clean welcoming home. Perfect place to enjoy family time. The king sized bed was comfy. We enjoyed looking out at the river from all the large windows when we weren't hanging out on the deck. Thank you for sharing it with us! We will be back! Wonderful place. Love the view in the sun room. Loved it even more the 2nd time around ! This is the 2nd year we have spent a month here and it was even better than the first time. 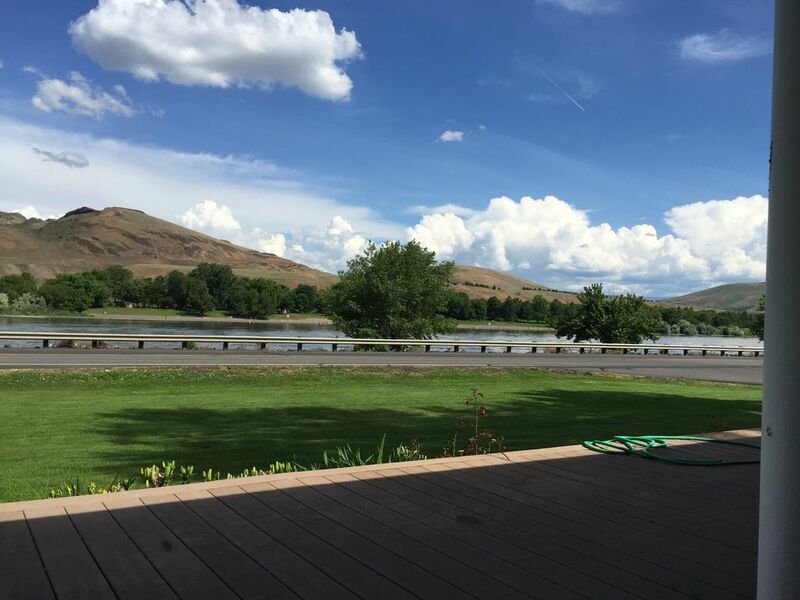 The house is so charming, great location between Clarkston and Asotin, beautiful river view, easy access to the walking path, well stocked and extremely clean. It feels like our home away from home. We hope to return next year!